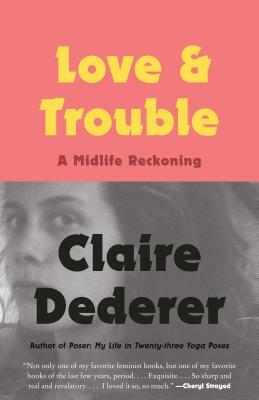 At mid-life, Claire Dederer developed a sudden yearning for jailbreak. In this exuberant memoir, she reflects on two periods in her life uncannily similar in their emotional intensity: her present experience as a middle-aged mom in the grip of unruly and mysterious new hungers, and her recollections of herself as a teenager. Blazingly intelligent, wickedly funny, and piercingly honest, in Love and Trouble Dederer captures the perils and pleasures of girlhood, womanhood, and life itself. Claire Dederer is the author of the New York Times best-selling memoir Poser: My Life in Twenty-three Yoga Poses, which has been translated into twelve languages and which Elizabeth Gilbert called “the book we all need.” A book critic, essayist, and reporter, Dederer is a longtime contributor to The New York Times and has also written for The Atlantic, Vogue, Slate, The Nation, and New York magazine, among other publications. She lives on an island near Seattle with her family.